<!-Stanley Ray Badmin. 1906-1989--> Stanley Ray Badmin.New Hop Poles. New Hop Poles. 1930. Etching. Beetles 17. 6 x 6 5 1/4 (sheet 11 1/2 x 9). Edition 30, #29, published by the Twenty-One Gallery. 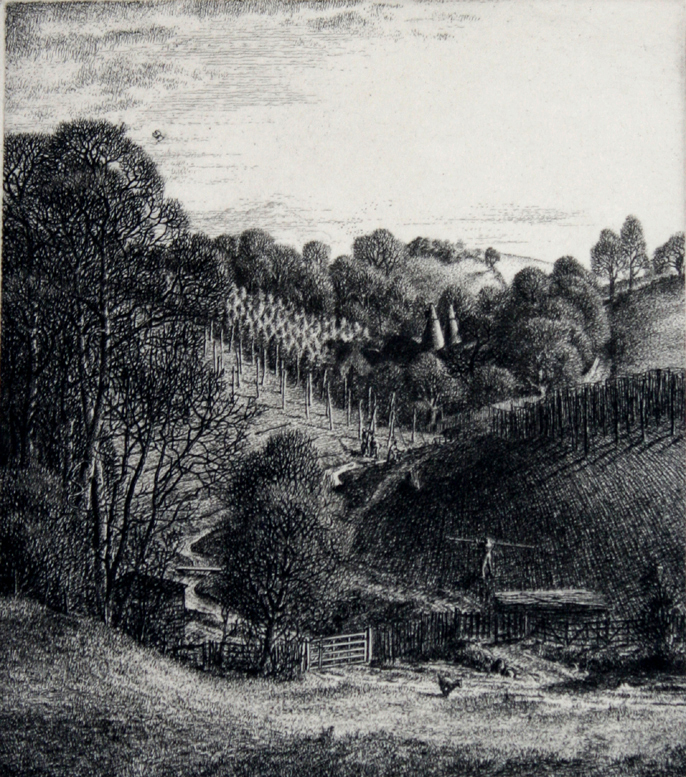 Exhibited at the Royal Society of Painter-Etchers and Engravers, 1932(? ); Fine Art Society, February 1933, #38, �13.6. 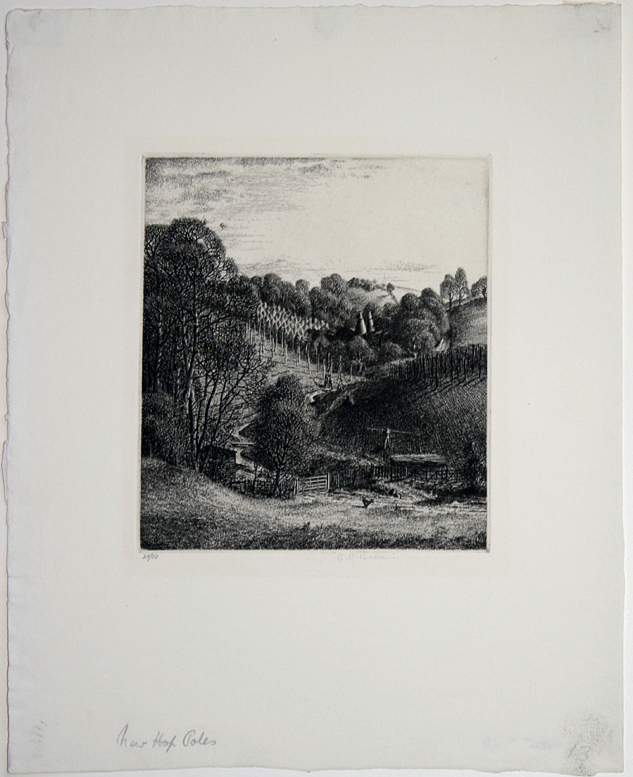 A rich, tonal impression printed on cream laid paper. Signed, titled and numbered in pencil. $1,450. The etching presents a view near Riverhead and Pole Hill.